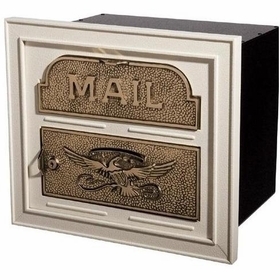 Enhance the aesthetic curb appeal of your lovely abode with the Gaines Classic Mailbox Top. 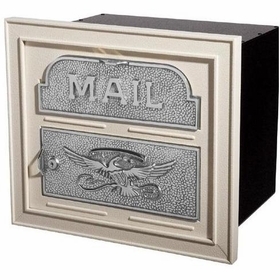 Intricately hand-assembled, the Gaines Classic Mailbox is constructed from 16 different aluminum castings. 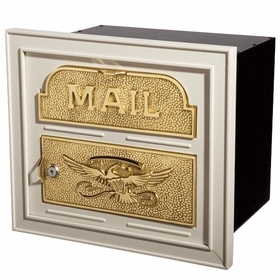 Hand-polished and artistically designed solid brass accent pieces adorn this stately mailbox. Available in 6 vibrant powder-coated colors, and four brass finishes, the Gaines Classic Mailbox adds a classic and timeless charm to your home. Question: Do you also offer Knobloch Mailboxes? Answer: Yes, please view our selection of Knobloch Mailboxes for more details. Thank you. Answer: Only the manufacture is an authorized dealer for replacement parts. You will need to contact them. Question: I have a Keystone mailbox approx 2002 and I need the plate that the house numbers go on.This is then attached to the pole under the mailbox. Are replacements available? Answer: We do not carry this part. You will need to contact the manufacturer directly. The manufacturer is Gaines.